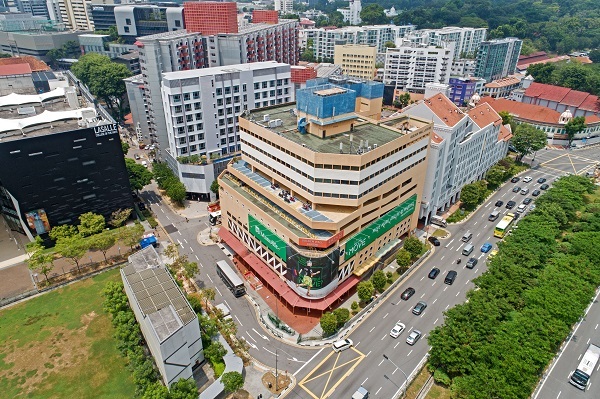 Golden Wall Centre, a freehold commercial property in Rochor, is up for sale at the reserve price of $260 million ($2,194 psf per plot ratio), according to Edmund Tie & Co (ET&Co), marketing agent for the site. The property, located at Short Street, occupies a corner plot with a land area of 24,239 sq ft. The property is zoned for commercial use under Master Plan 2014. URA has advised that a hotel can be built on the land, at a gross plot ratio of 4.88, the agency highlights. The existing building has a gross floor area of 118,488 sq ft. The property is a two-minute walk to Rochor MRT station, and five minutes to Lasalle College of the Arts. It is also near Little India, with Tekka Market a seven-minute walk away, and Little India MRT station an eight-minute walk away. The tender for the site will close on Nov 23 at 3pm.